Because your poll results asked for it!! 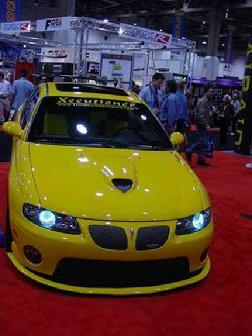 In 2004 the original TBM GTO-X consisted of one brand new 2004 Barbados Blue GTO 5.7L LS1 M6, a Luxury package (power moonroof and auto dimming rearview mirror with compass, outside temperature and interior reading lamps), Appearance package ( custom 18" wheels, custom Xecutioner pinstripe as homage to the 1970 GTO Judge, Xecutioner Ram-Air hood, and TBM reproduction SAP GTO upper grilles), and Performance package (Vortech supercharger, 1.8 roller rocker arms, and custom tune). 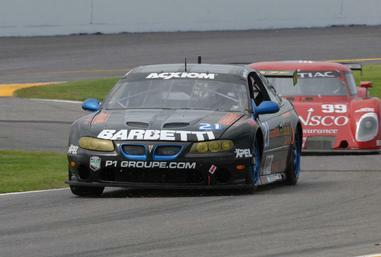 During this era, we were a proud supporter and supplier of the GTO racing team. A couple of years later, our second GTO-X began as a flood water salvage recovered 2004 Quicksilver on Red GTO M6. A brand new crate 5.7L LS1 motor was installed with 1.8 roller rocker arms before flowing out a 2005/06 dual exhaust and rear bumper conversion. Holden HSV style rear taillights were added. On this vehicle, TBM developed its front bumper repair clip kits. Heading into 2018, the LS-mod game has been raised to a whole new level. GTO's status has been knocked down a notch or four with the V-Series Caddies, 2 more generations of Vettes, the return of the Camaro, G8/Caprice/SS, and more potent full size trucks all sporting 6+ speed automatic transmissions. Old F-body and A/G-body, and even Ford Fox body, conversions have rendered the 2004-06 GTO all but an engine, transmission and seats donor. But the GTO's from down under hold tremendous value and potential that other vehicles just can't. And their ridiculously low current market price makes them the bargain Car for All Seasons. That said, the third time that TBM attempts a GTO-X is going to have to be a charmer. And we are ready to accept that challenge. 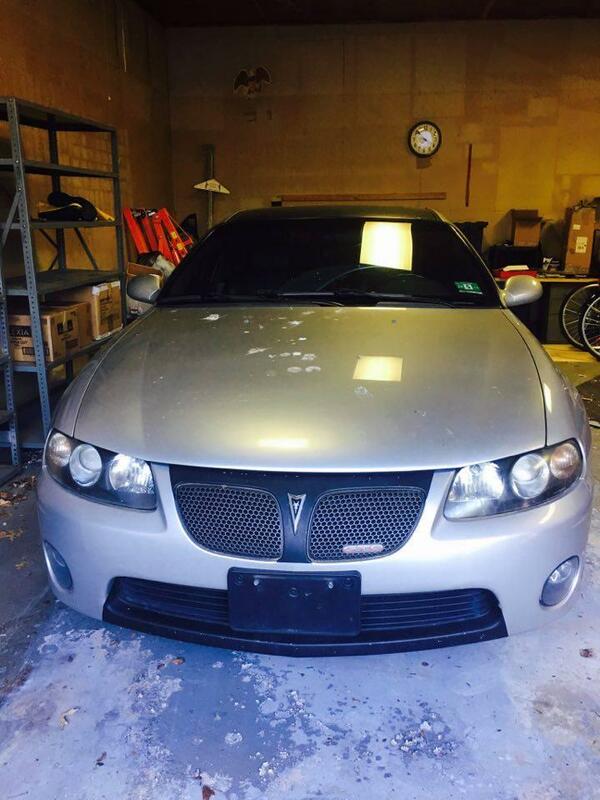 We started with yet another 2004 Quicksillver GTO (black interior, M6 trans) roller. But this was no ordinary used GTO. This Goat was known to terrorize the Mid-Atlantic area with a tempermental cammed and nitrous'd LS1 that headbutted the unsuspecting and munched on more than its fair share of the competition's "lunch" money! This time around we wanted to do something different that would be more inline with how budget-conscience builders/racer do things. We wanted to make the GTO relevant to drag and road course racers alike. 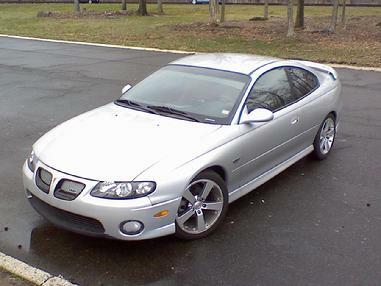 So we picked up a 2005 low mileage 6.0L LS2 GTO salvage car, ordered a 6L80, sprinkled TBM know-how and began development work on an AWD system based off of HSV's limited edition Monaro Coupe4; all of which will feature TBM's renownded Plug & Play simplicity (minimizing permanent modifications and making installation, other mods and maintenance easy). Expect exceptional performance and bang for the buck value. But don't expect crazy HP numbers, unnecessary custom "performance" parts, and outlandish body and interior mods. There are more than enough of those options out there. We here at TBM believe in performance engineering and performance value, not hype. If the guy with the most horsepower is supposed to win, how come so many high HP cars lose races? If EXPEN$IVE ported this, billet that, and forged these are the way to go fast, why do so many backyard builds clean the clocks of rolling sponsorship race cars? I'll get you a hint. Because HP is only a single variable of the equation. It's not about what your PEAK horsepower is. As a matter of fact, HP is down the list in terms of significance in racing. Eeking HP is the finishing touches to a race vehicle well built and designed, not the first. Too many people chase HP numbers and waste a lot of money/time/energy and destroy a lot of very good cars in the process. So, like any good successful plan, let's prioritize. Let's start with the basics. force. Force is a measure of "work" that is put into or against another mass. Force has direction. When referring force AND direction they are called "Vectors". Force and vectors are generally and easily understood when moving linearly. ; up, down, left, right, in or out. However, force can also be applied rotationally. Rotational force is called "torque". Torque is a comparable measure of force and distance (lbs, Nm, etc) vs (inches, meters, etc.) but about a circumference. As such rotational forces acts differently than linear force. The simplest way to grasp how differently they work is to imagine the impact of a simple long tool upon the 'work' that is being asked of it. If you are behind a heavy object and attempt to push or the object (think hammer and long spike or punch tool), the length of the pipe has very little bearing upon how easy or difficult it is to move the tool in a straight line. However, when attempting to loosen tight lugnuts, the length of the tool play a tremendous role in the amount of force and work necessary to achieve movement. The shorter your ratchet handle (radius length from center), the more force you have to apply to crack that lugnut loose. However, if you ask a 2 foot long breaker part to perform the same task, it's as simple as applying some of your body weight in order to loosen the lug nuts. Transmission and axle ratios work the same way. Bigger ring gears offer the ability to length the radius of the input force and hence multiply the output force. (e.g. 4.1:1 > 2.54:1). That said. In Part 2 we will explore how these ratios play role in what RPM’s you shift out to maximize engine, and hence vehicle, acceleration. Hint: The faster your engine revs, traction issues not withstanding, the faster the tires turn and the faster the vehicle accelerates!